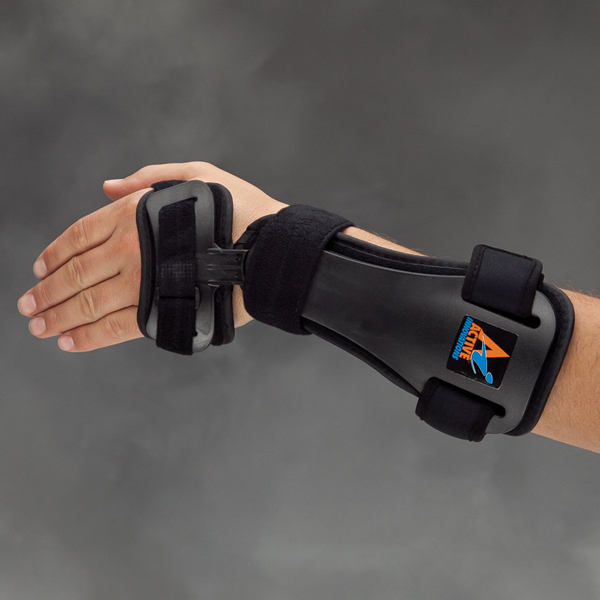 A dynamic performance hinge provides 20° ulnar/radial deviation. 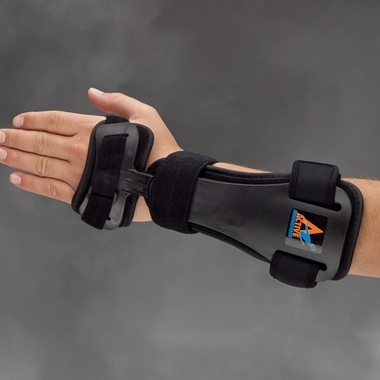 Contoured, dorsal splint limits flexion and extension while allowing finger dexterity. 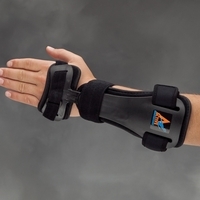 Palm remains open and free from obstruction while protecting the carpal tunnel. 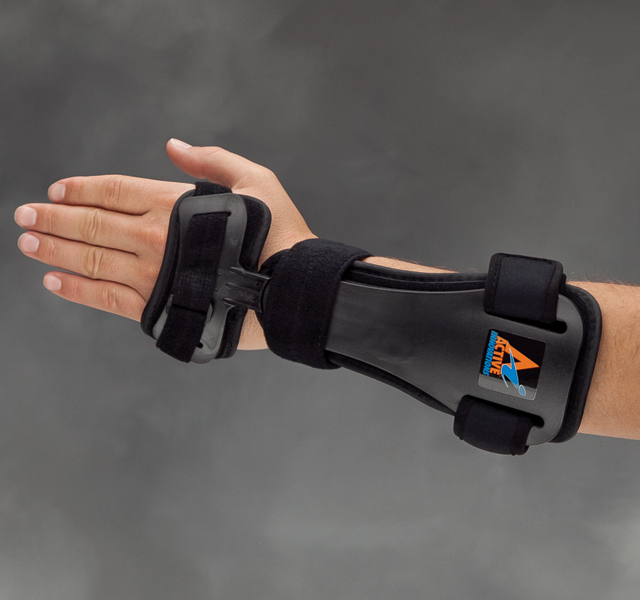 Neoprene elastic straps offer individual fit; non-elastic wrist strap adds stability. Plastic frame with breathable padding wicks perspiration for cool, dry comfort. Day or night use. Universal fits left or right. To size, measure palm width at MP joints.